 The Rover - 8” Water Pipe With Curved Down Stem And A Dry Herb Bowl -The Greatest Online Smoke Shop! 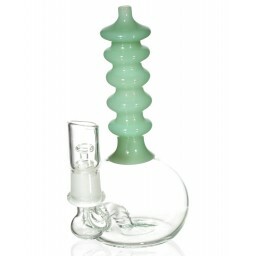 This is a nicely sized water pipe with beautiful winter green accents. 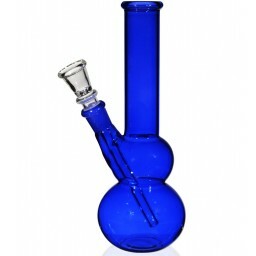 This water pipe is about 8” tall, from the mouthpiece to the bottom of the glass base. 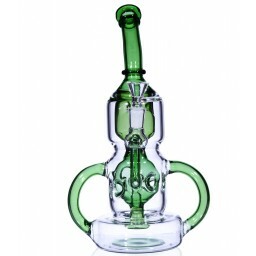 Excellent craftsmanship with curved and protruding glass pieces on the neck and bowl that give it a unique and robotic look. 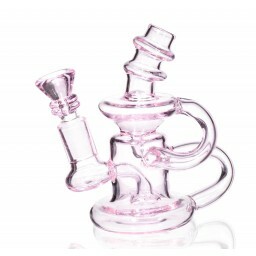 This bubbler has a 14mm female joint and comes with a 14mm male glass bowl. 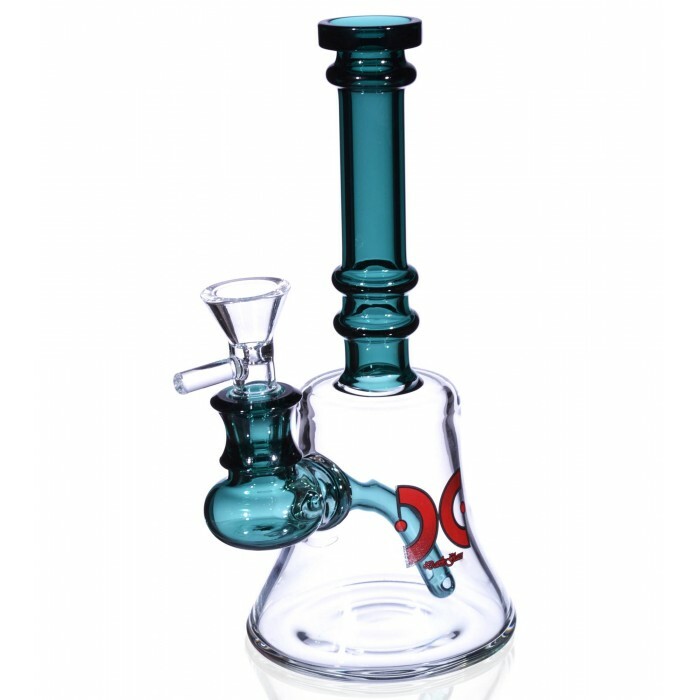 This bubbler has a 14mm female joint and comes with 14mm male glass bowl. The Rover is a beautifully crafted glass water pipe that was blown with quality glass and standout winter green accents. 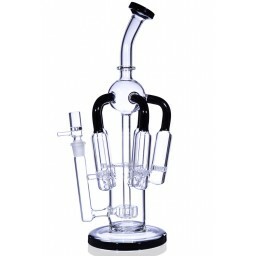 It has a really convenient shape that lets you easily enjoy a water filtered smoke session from a bubbler without having to set up a large bong. You can easily and efficiently grab the Rover and take it on a journey, not having to sacrifice the benefits of water filtration so you can enjoy from cool, smooth smoke from the comfort of your home or out roaming the world. 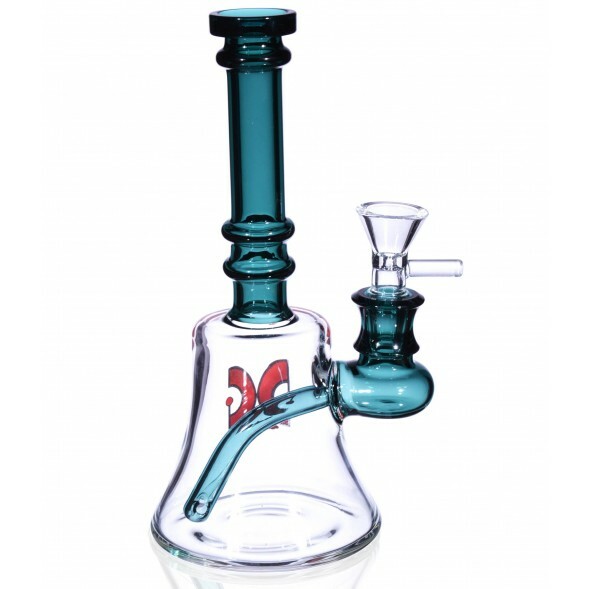 The shape is really attractive on this piece, made of three separate glass parts that all join together to give it a unique final look. The neck is blown with wintergreen glass and has a strong but artistic look to it with protruding rings that add personality and style. The female joint is very similar, with its own unique artistic look with smooth curves that help give this piece character and uniqueness. 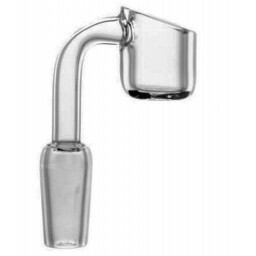 Even the downstem that slides into the water chamber is curved and adds an interesting feel to the water pipe, instead of just being a simple straight downstem it has style and adds to the aesthetic value of the bubbler. 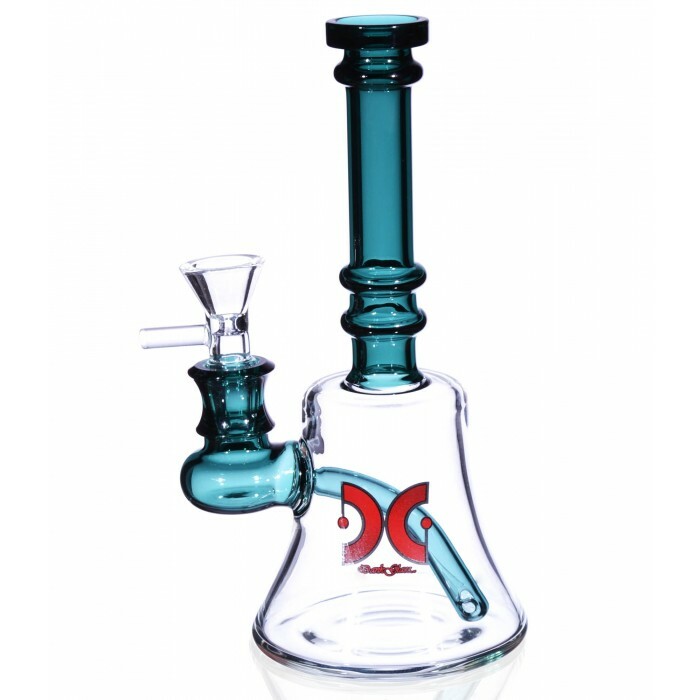 It’s a sharp and convenient piece, with beautiful colors and workmanship. 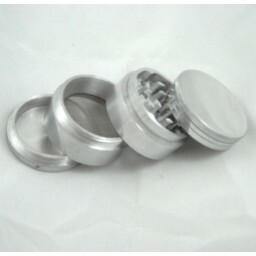 This bubbler comes with a 14mm female joint, a 14mm male dry herb bowl, and has a water chamber that is 3” in size.